Yeah still slow shipping but I'll get them before Dec. 19. I was worried about making things worse but went ahead and did something about all the etch marks on the marble counter top in my bathroom, got some 3000 grit sand paper and used my orbital sander to smooth out the dull etched depressions that were in the shapes of cup and bottle bottoms, then used polishing paste with the spent sandpaper to get the mirror finish back. When I replace the faucets I'll do the entire top, the faucets have areas of corrosion on them where the protective coating has peeled off, and if you clean the corrosion you get spots of bright brass where the rest is dark oiled color brass. Yeah that's a big design flaw there..
And since I'm the 2rd owner since it was remodeled I have no idea if the tile floor is well sealed or if a sink or toilet overflow would go right down into the kitchen ceiling and ruin the sheetrock. So I got my CCTV system back up and running and ran the 50' HDMI & 50' USB cables run from the DVR in the closet to my desk and everything is working flawlessly again. I trust that when you turned it on, you said "CCTV is ON THE AIR!" and threw a TV out the window. Took all day poking around and drilling and fishing wire but I got an ethernet cable up into my home theater room on the second floor, while I was at it I ran new coax for cable TV as well. Ran the new coax because the old one took a weird route accross the basement, up the outside of the house and into the second floor there, cable was old and had a lot of splices so I figured it would eventually allow noise ingress and mess up my internet. Was unable to find an easy path up to the attic so I couldn't get a cable into the room where I have my PC, so stuck with wifi in that room. To get to my home theater room I was lucky that a closet in that room was over a closet on the first floor, so I was able to use them to run the wires up from the basement. 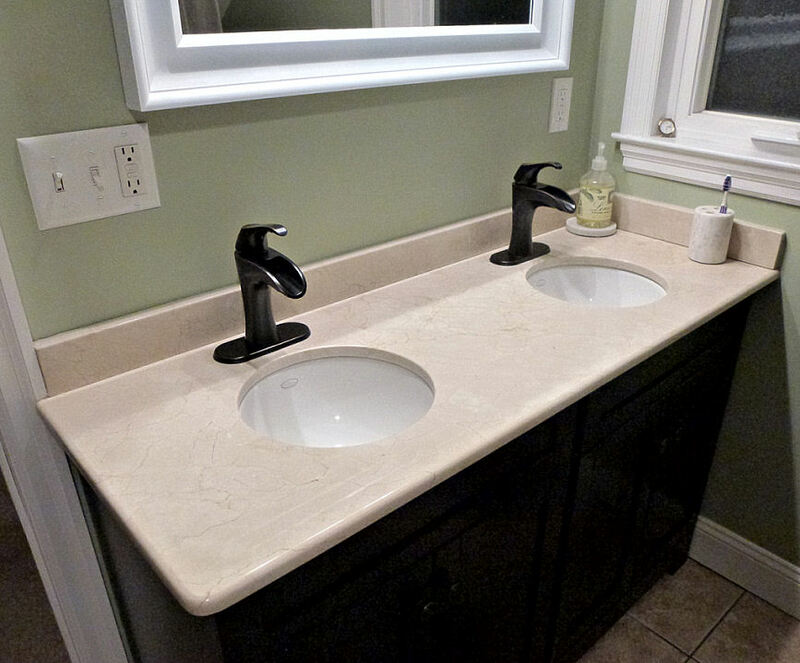 Today's home improvement project was replacing the bathroom faucets and while they were off sanding and polishing the marble counter top. And I've already stolen the towels and bathrobes.